On 25th December 1861 in a humble home in Allahabad was born Madan Mohan who would one day shake the foundations of the mighty British empire with his moral strength and intellectual prowess; who would resurrect the spiritual and cultural heritage of India’s ancient civilisation; and who would be the vanguard of India's social and political resurgence. A distinguished statesman, he fought for social, economic and political justice for Indians. 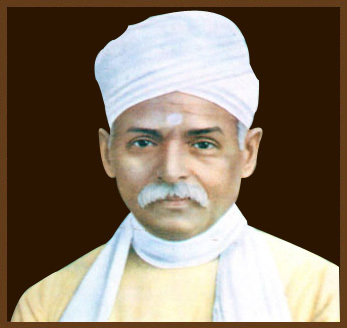 Mahamana was elected President of the Indian National Congress in 1909, 1918, 1932 and 1933 and worked with about 50 Congress Presidents during his lifetime. He was a Member of the Imperial Legislative Council / Assembly from 1910 to 1926. Pt. Malaviyaji participated in Gandhi's Salt Satyagraha and courted arrest. Along with Mahatma Gandhi, he represented Indian National Congress at the Round Table Conference held in 1931 in London. During the Civil Disobedience Movement in India, he was arrested twice. Pt. Malaviyaji popularised Truth Alone Triumphs (Mundaka Upanishad) and this was adopted as national motto when India became a Republic in 1950. Never has any man served his country with such devotion and its people with such selflessness. Gandhiji aptly called Malaviyaji as 'Devata Purush' -- man of God -- and Rabindranath Tagore gave him the title “Mahamana” – “luminous mind, magnanimous heart”.